Here's a quick tip to help you keep your presentation within its time frame. You already know to leave a time cushion in your presentation when practicing, taking into consideration audience interaction and questions. 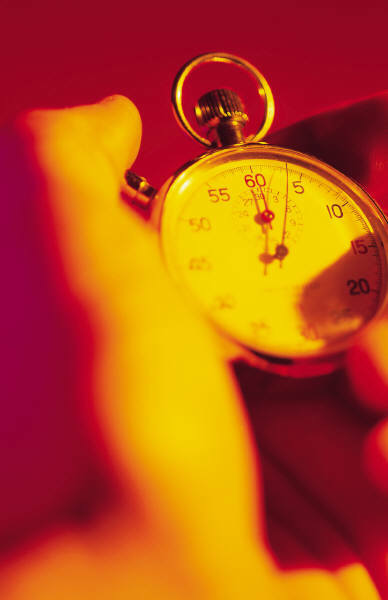 But don't forget this critical factor: Presentations rarely start on time! I've seen organizers delay the start of a workshop or presentation as much as ten or fifteen minutes due to stragglers. I don't believe in rewarding latecomers and, when I am running the show, I start on time. However, you will frequently find yourself in situations where you are not running the show. The speaker before you went long, or the person hosting your meeting or talk wants to wait until everyone (or nearly everyone) has arrived. This is frustrating, but it's all part of the unpredictability of public speaking. Regardless of what time the presentation actually starts, I always start my timer right at the intended start time, so I can keep track of my remaining time even when starting late. When practicing your presentation, always take into account that, in addition to losing time at the end of your talk, you may also lose time at the beginning. Plan accordingly.